The Cruze Thermostatic Shower is an always-popular choice. It is a round thermostatic shower featuring a smooth, sleek design. A complete modern shower package, the Cruze offers stylish design at a great, family-friendly price. Features a round LED chrome finish shower head with swivel ball joint, lights up in three different colours dependent on the temperature of the water. Manufactured from durable corrosion resistance chrome plated plastic. 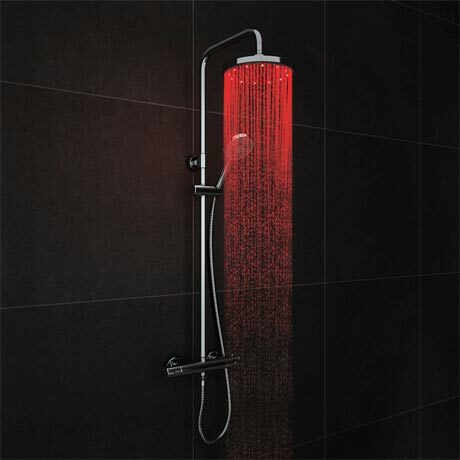 No batteries are needed as the LED shower head is self-powered by the force of running water. Comes with a conventional head as well as the LED one. Looks and works very well.